Greetings! Many of us in the open source community are proud of you as a leading pioneer in many different avenues ranging from internet security, to space tourism, to open source software. I say now is the time to wear that pioneer hat (or converge Ubuntu linux with the bitcoin markets. Bring the two together finally. It is apparent that bitcoin and virtual currencies are the next frontier. Bitcoin is to money what Ubuntu is to operating systems. Merging the two is complete common sense. In what ways can this be done? 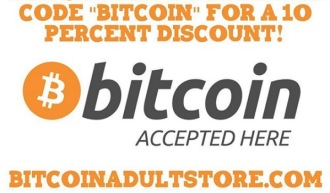 Both the Ubuntu donation page and Ubuntu Shop could begin to accept bitcoins. They currently do not. AskUbuntu.com could accept bitcoins for bounties on questions. The Ubuntu Software Center could accept bitcoins for software sold and pay developers in BTC. Ubuntu could also save a small percentage from moving away from VISA and Paypal and the other forms of acceptable payments. If Ubuntu is doing $100 million a year in sales (mostly from support) it could easily save $2 or 3 million which could go towards development and expansion of the Ubuntu community and have a huge impact. Ubuntu could also accept BTC as payment for music in UbuntuOne. Better yet, the big crowd funding campaign earlier this year for the Ubutnu Phone could have accepted bitcoins and propelled the campaign way past its funding point. Instead, it fell short. Mr. Shuttleworth, there are bitcoin millionaires and billionaires out there right now that want to put their bitcoins to good use. Your campaign would have been perfect. The merging of communities is perfect because it is open source. Imagine the possibilities of programs being developed around bitcoin. We already have offline wallets like Armory, Bitcoin-Qt and MultiBit. What if Ubuntu developed its own bitcoin wallet? 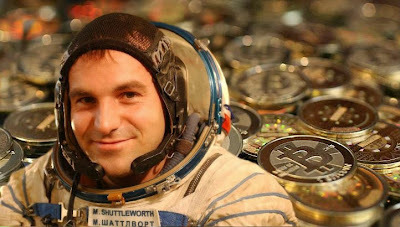 I am asking Mark Shuttleworth, founder of Ubuntu linux, to begin the motions to accept bitcoins across the entire Ubuntu universe.